CRO | clinical trials | CRO In Israel | Why Israel? Pharmaceutical and medical device companies from around the world choose to carry out their clinical trials in Israel, and for good reason. Globally recognized as a forward-thinking innovator in medical development and a provider of quality healthcare, Israel boasts top medical facilities, backed by a highly respected community of medical professionals and key opinion leaders. Having started out in this proactive, supportive ecosystem, Israeli drug and medical device developers are enjoying great success on the world stage. With regard to clinical trials in particular, Israel offers easy recruitment of investigators and patients; the highest standards of regulatory compliance by professional medical centers; highly-trained, multi-lingual study staff and clinical site personnel; a short and efficient approvals process; and lower costs than generally found in Western Europe or the US. From its base in central Israel, and with extensive experience in the local pharmaceutical, medical device and advanced therapies, Novatrials is ideally placed to offer its clients the benefit of all these advantages, and more. 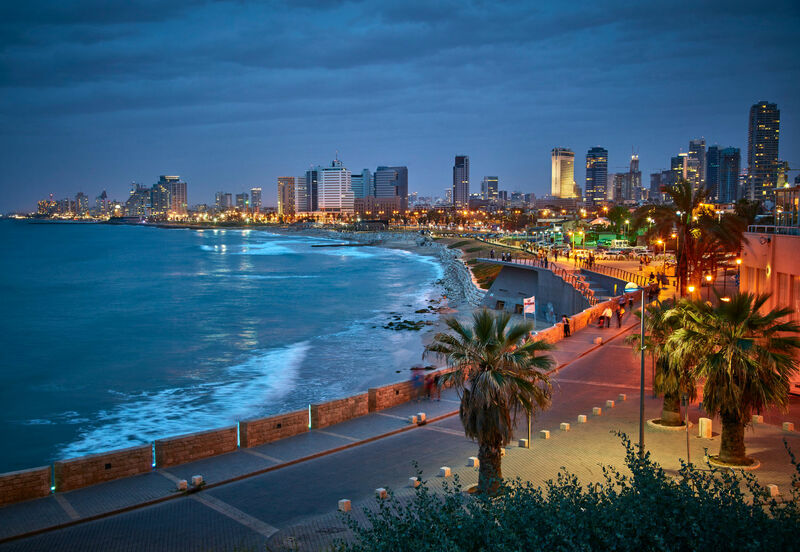 Waterfront of Tel Aviv. Night view from Jaffa.